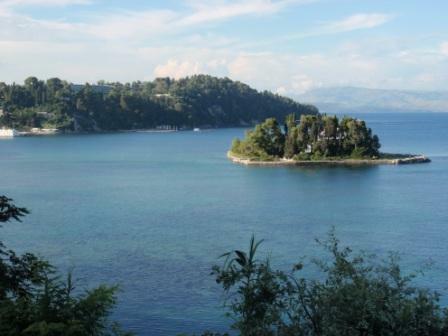 Hotel Argo is situated in Perama which is in the southern part of Corfu, just 6km away from the center of Corfu town and only 5 km away from the airport. Just outside the hotel there is a bus stop for Corfu Town or South Corfu. 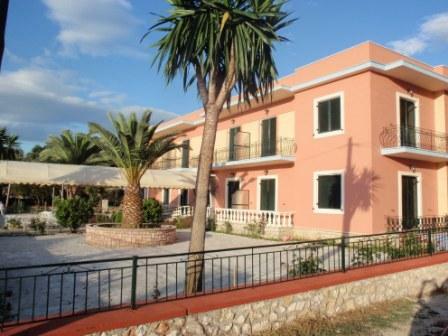 Hotel Argo is situated about 500 meters away from the beach Kanoni, but also close to other beaches. Nearby the hotel there is an English Supermarket called "The British Corner Shop", within 50 meters there is a mini market, a cafe, pharmacy and shops. Also, at 500 meters away is the center of Perama where mini markets, taverns, bars etc are available. 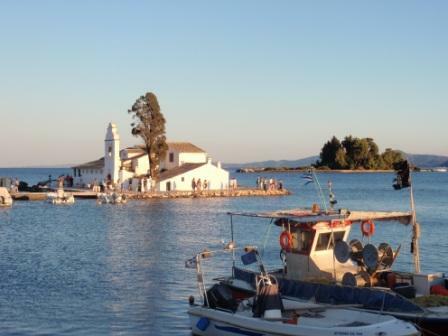 Near the hotel is the beautiful and famous Mouse island (Pontikonisi). The area is ideal for pleasant walks. The path to the Mouse island is great as you pass a bridge that crosses the sea to come to Kanoni. 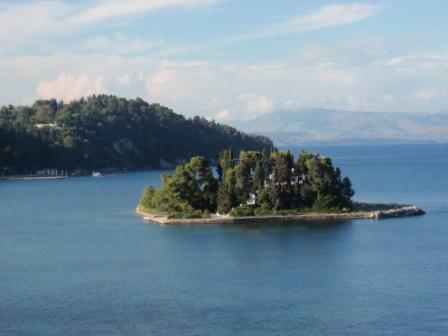 From Kanoni, during the summer you can go to the Mouse Island by boat. 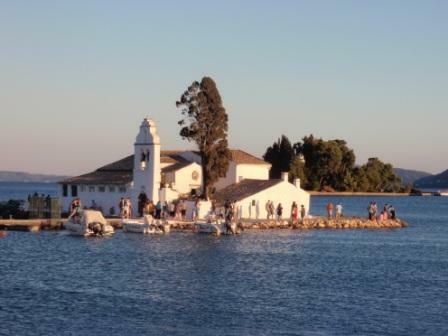 Visitors can also sit in a cafe in Kanoni and enjoy the impressive view from the top (you can see the Mouse Island and the church of St. Vlacherna) while enjoying your coffee or you can take a swim in the kanoni beach. Another good place situated close by Hotel Argo is the Kaiser's Bridge, which used to connect the sea with the grounds of the Achillion Palace where the Royal Austrian family lived. Near the hotel is the Achillion, which is the palace built by the Empress Elizabeth of Austria in the village Gastouri.